Food security has been and remains one of the primary concerns in Syria’s agriculture, which is the only country in the Arab world that relies on its own resources to secure stable food inputs, especially wheat. Following the outbreak of conflict and the subsequent displacement of populations across Syria, the capacity of the agriculture sector has been drastically reduced and has placed heavy pressure on an already vulnerable food security system. With the recent renewal of fighting and the subsequent displacement of families from Homs, Rural Damascus, and South and North-west Syria, the demand for food has significantly increased. 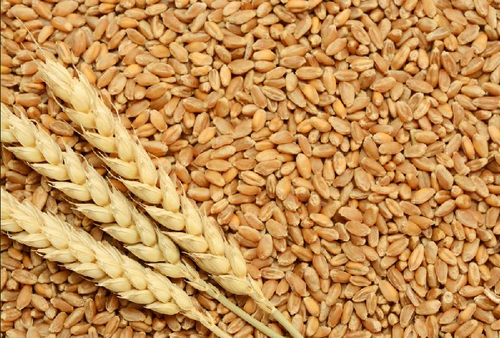 To address the shortage of wheat in the local market, the “Complementary Project for Enhancing Food Security in the North of Aleppo Governorate – Phase II,” project will complement the first phase of the program by supporting the Implementing Entity (IE), a successful partner of the SRTF, with additional supply of soft wheat to secure bread production. The program will help enhance existing nutritional gaps and will satisfy the increasing demand for bread needed to feed the growing population of the northern Aleppo countryside. Procurement of consumables delivered to the IE including 15,000 tons of soft wheat, 500,000 hessian sacks, 250,000 polypropylene flour sacks, 1000KG of Pesticide for seed fumigation, 750KG of rodenticide to control rodents, PE Sheets, fire extinguishers, as well as safety clothing, tools, and equipment. Procurement of fixed goods delivered to the IE including: six motorcycles, two portable conveyor belts, computers, office tools and equipment, as well as IT and communication equipment for monitoring and evaluation. Provision of other services to the IE including transportation and handling of inputs from zero point to the stores or warehouses of the IE inside Syria, as well as from warehouses to milling locations. Additionally, the project will support the IE in the development of their financial and accounting systems to enhance the transparency and accountability of financial operations. The timeframe for the project is set for 15 months from the date of signing the finance agreement, including Monitoring and Evaluation of activities. At a total cost of EUR 6.2 million, this intervention will have a significant impact on the lives of all people in the project area. An expected 175,000 persons will benefit each month from the increased production of bread. Furthermore, the project will generate employment opportunities in the transport, service, and production industries for over 2,000 people in the targeted areas. The project will also help sustain existing livestock populations through the availability of bran, a byproduct of wheat milling, as animal feed. Through working with local technical units and para-state establishments, the program will work to support the sustainability of services to the local population and will ensure recovery of critical infrastructure.